The tabernacle was built in the year 1447 BC. 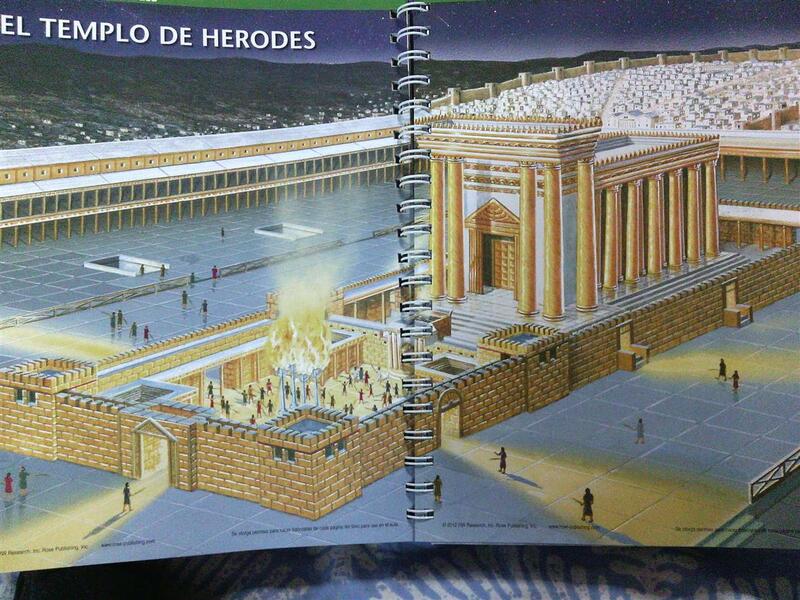 The temple of Salomon was built the year 967 BC and was destroyed by Babylon the year 586 BC. 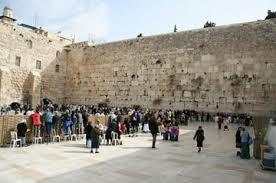 Then it was rebuilt by Nehemias in the year 516 BC and was constantly improved until the year 24 ad by Herod. It was again destroyed in the year 70 A.D. and has remained unrebuild since that year, but in a few years it will be rebuilt again, so affirmed by the writings of the Tanack and those of the Nazarene writings. ” Behold, the days come, says YHWH, that I will cut a new covenant with the house of Israel and with the house of Judah, not according to the covenant that I cut with their fathers in the day I took them by the hand to bring them out of the land of Egypt (which covenant of Mine they broke, although I was to be a husband to them, says YHWH). But this shall be the covenant that I will cut with the house of Israel: After those days, declares YHWH, I will put My Torah in their inward parts, and I will write it on their hearts; and I will be their Elohim, and they shall be My people. And they shall no longer each man teach his neighbor, and each man his brother, saying, Know YHWH. For they shall all know Me, from the least of them even to the greatest of them, declares YAHWEH. For I will forgive their iniquity, and I will remember their sins no more“. “All the sinners of My people shall die by the sword, those who say, The calamity shall not draw near or confront us. In that day I will raise up the Sukkoth of David that has fallen, and I will wall up its breaks. And I will raise up its ruins, and I will build it as the days of old; so that they may possess the remnant of Edom, and all the nations on whom My name is called, declares YAHWEH who is doing this. Behold, the days are coming, declares YAHWEH, that the plowman shall overtake the reaper, and the treader of grapes him who draws along seed. And the mountains shall drip new must, and all the hills will be dissolved. And I will bring back the captivity of My people Israel (1948). And they shall build the waste cities, and live in them. And they shall plant vineyards, and drink the wine of them. They shall also make gardens, and eat the fruit of them. And I will plant them on their land, and they shall never (ever) again be pulled up out of their land which I have given to them, says YAHWEH your Elohim”. “And they shall bring all your brothers out of all nations, an offering to YAHWEH, on horses, and in chariots, and in litters, and on mules, and on camels, to My holy mountain Jerusalem (temple mountain), says YHWH; as the sons of Israel bring the offering in a clean vessel to the house of YHWH. And I will also take some of them for the priests, for the Levites, says YHWH. For as the new heavens and the new earth which I make stand before Me, declares YHWH, so your seed (Israel) and your name shall stand (Jews)”. ” And it will be, from new moon to its new moon, and from Sabbath to its Sabbath, all flesh shall come to worship before Me, says YHWH. And they shall go out and see the dead bodies of the men who have rebelled against Me; for their worm shall not die, nor shall their fire be put out; and they shall be an object of disgust to all flesh”. ” And a reed like a staff was given to me, and the cherub stood, saying, Rise and anoint the sanctuary of YHWH and the altar, and those worshiping in it. And cast aside the outside court of the sanctuary, and do not anoint it. For it has been given to the nations, and they will trample the holy city forty two months“. 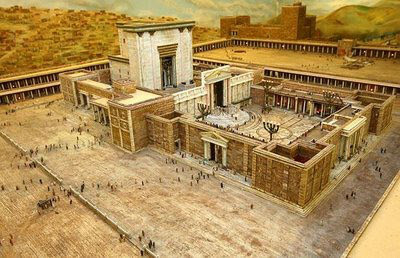 The Temple will be constructed after the gentile nations go away from Jerusalem (since 1967). So it will be constructed in the next years. Isaiah 41:8-9 “But you Israel are My servant, Jacob whom I have elected; the seed of My friend Abraham; whom I have made strong from the ends of the earth, and called you from its sides; and I said to you, You are My servant. I chose you, and have not rejected you”. ” But now so says YHWH who formed you, O Jacob; and He who made you, O Israel: Fear not, for I have redeemed you; I called you by your name; you are Mine. When you pass through the waters, I will be with you; and through the rivers, they shall not overflow you. When you walk in the fire, you shall not be burned, nor shall the flame kindle on you. For I am YHWH your Elohim, the Holy One of Israel, your Savior. I gave Egypt for your atonement; Ethiopia and Seba instead of you. Since you were precious in My eyes, you are honored, and I love you; and I give men instead of you; and peoples instead of your soul. Fear not, for I am with you; I will bring your seed from the east, and I will gather you from the west“. Why build the third Temple if we already know the Mesias of Israel, Yeshua? Yeshua is a Melquizedek priest “of the true tabernacle that erected Adonai and not the man” in the heavens, not of the earthly temple. There may be the presence of Elohim in the Earthly Temple (third temple)”. The building of a sanctuary inhabited by Elohim is a Mitzvot (commandment) that we have to fulfill according to Exodos 25:8-9. Exodus 25:8-9 ” And let them make a sanctuary for Me, that I may dwell in their midst. According to all which I am going to reveal to you, the plan of the tabernacle, and the plan of all its vessels, even so you shall do“. Even in Deuteronomy 12:5-11 after 40 years of walking around the Sinai, Moses was ordained to seek the mount of Elohim where he lived. ” But you shall seek to the place which YHWH your Elohim shall choose out of all your tribes (Jerusalem); for you shall seek His dwelling, to put His name there. And you shall go there. And you shall bring your burnt offerings there, and your sacrifices, and your tithes, and the heave offering of your hand, and your vows, and your freewill offering, and the firstlings of your herd and of your flock. And you shall eat there before YHWH your Elohim, and shall rejoice in all that you put your hand to, you and your households, with which YHWH your Elohim has blessed you. You shall not do according to all that we are doing here today, each doing all that is right in his own eyes. For you have not come to the rest and to the inheritance which YHWH your Elohim is giving to you. And you shall cross over the Jordan, and shall live in the land which YHWH your Elohim is causing you to inherit. And He shall give you rest from all your enemies all around; and you shall live securely. and it shall be the place which YAHWEH your Elohim shall choose to cause His name to dwell there (Jerusalem), there you shall bring all that I am commanding you, your burnt offerings, and your sacrifices, your tithes, and the heave offering of your hand, and all your choice freewill offerings which you vow to YHWH”. ” And YHWH shall go out and fight against those nations, like the day He fought in the day of battle. And His feet shall stand in that day on the Mount of Olives, which is before Jerusalem on the east; and the Mount of Olives shall divide from its middle, from the east even to the west, a very great valley. And half of the mountain shall move toward the north, and half of it toward the south. And you shall flee to the valley of My mountains, for the valley of the mountains shall reach to Azal. And you shall flee as you fled from before the earthquake in the days of Uzziah, king of Judah. And YHWH my Elohim shall come, and all the saints with You. And it will be in that day, there shall not be light; the glorious ones will shrink. And it will be one day which shall be known to YHWH; not day and not night, but it will be, there will be light at evening time. And it shall be in that day, living waters shall go out from Jerusalem, half of them shall go toward the eastern sea, and half of them toward the western sea; in summer and in winter it shall be. And YHWH shall be King over all the earth. In that day YAHWEH shall be united (echad), and His name united (echad)“. ” And you, son of man, take one stick to yourself and write on it, For Judah, and for his companions, the sons of Israel. And take another stick and write on it, For Joseph, the stick of Ephraim and all the house of Israel, his companions. 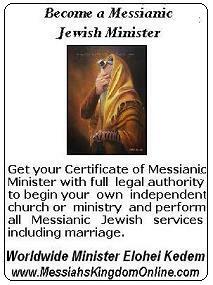 And draw them one to one for yourself, into one (echad) stick. And they shall become one (echad) in your hand. And when the sons of your people shall speak to you, saying, Will you not declare to us what these mean to you? Say to them, So says Adonai YAHWEH: Behold, I will take the stick of Joseph which is in the hand of Ephraim, and the tribes of Israel, his companions. And I will put them with him, with the stick of Judah, and I will make them one stick, and they shall be one (echad) in My hand. And the sticks shall be in your hand, the ones on which you write before their eyes. And say to them, So says Adonai YAHWEH: Behold, I will take the sons of Israel from among the nations, there where they have gone, and will gather them from all around, and will bring them into their own land. And I will make them one (echad) nation in the land, on the mountains of Israel, and one King (Yeshua) shall be for a king to all of them. And they shall not be two nations anymore. And they will not be split into two kingdoms any more. And they will not still be defiled with their idols, even with their filthy idols, nor with all of their transgressions. But I will save them out of all their dwelling places where they have sinned in them, and I will cleanse them. So they shall be for a people to Me and I will be for Elohim to them. And My servant, David, shall be King over them. And there shall be one Shepherd (Yeshua)to all of them. And they shall walk in My judgments and keep My statutes, and do them. And they shall dwell on the land that I have given to My servant, to Jacob, there where your fathers dwelt in it. And they shall dwell on it, they and their sons, and the sons of their sons, forever. And My servant David shall be a ruler to them forever. And I will cut a covenant of peace with them, an everlasting covenant it shall be with them, And I will place them and multiply them, and I will put (Aleph/Tav) My sanctuary in their midst forever. And My tabernacle shall be with them, and I will be their Elohim, and they shall be My people”. Be fulfilled the word of the creator of the universe, YHWH, our Elohim, Elohim of Israel, Elohim of Abraham, Elohim of ISAAC and Elohim of Jacob. A thousand blessings to all and peace in Jerusalem forever!